She's baaack! (I can't even begin to tell you how good it feels to type those words.) 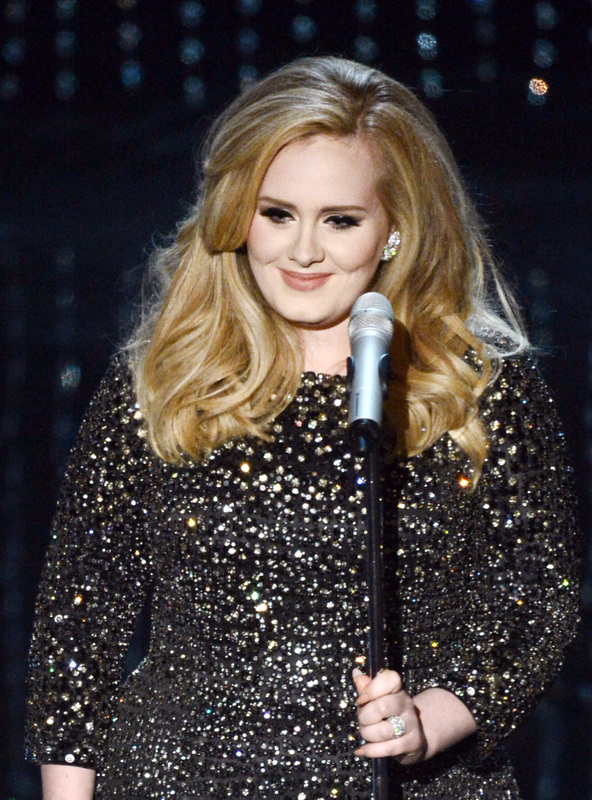 On Friday, Adele premiered her long-awaited new album, 25 — and rest assured, it delivers. The 11-track set was preceded by lead single "Hello,” an emotional power ballad that broke online streaming records and debuted atop the Billboard Hot 100 chart at the end of October (which is no small feat). In fact, almost four weeks after its release, "Hello" is still the No. 1 song in the country. Clearly, the general public was just aching for Adele to return to the music scene. After 25 was announced, many people (myself included) wondered if Adele would be able to top her last LP, the Grammy Award–winning 21. Whether or not 25 will eventually outsell 21 or be more warmly received by critics remains to be seen, but for me, it's easily the 27-year-old British singer's most exciting effort to date. Though she occasionally relies too heavily on past "winning formulas" (see: "Remedy," "Love in the Dark"), for the most part, Adele pushes herself to experiment with new sounds on 25. The result is a wonderfully diverse collection of songs that should make all fans happy. "Million Years Ago" is very theatrical — at times bordering on melodramatic. I'm honestly not sure why it was included on 25's track list... it just doesn't seem to fit in. "I Miss You" is another collaboration with "Rolling in the Deep" producer Paul Epworth. The track definitely has an "epic" feel to it, but for me, its chorus falls short. "River Lea" is a solid album cut, but ultimately, it didn't leave a lasting impression on me. "Remedy" is a beautiful (but fairly straightforward) piano ballad, similar to 21's "Turning Tables" (both songs were co-written and produced by OneRepublic front man Ryan Tedder). #6. "Love In The Dark"
We've heard ballads like "Love in the Dark" from Adele before, but it's hard not to get swept up by the track's lush strings. An infectious and triumphant album closer. #4. "Send My Love (To Your New Lover)"
Co-written and produced by Taylor Swift's two main 1989 collaborators, Max Martin and Shellback, "Send My Love (To Your New Lover)" finds Adele trying out top 40 pop for arguably the first time in her entire career — and she pulls it off! In fact, it's one of 25's major highlights. Sigh. Is there anything Adele can't do? #3. "Water Under The Bridge"
The "Water Under the Bridge" chorus is tremendous. It must be released as a single at some point in the future. The power of "Hello's" soaring refrain is undeniable. I've heard the song hundreds of times now (no joke), and it still gives me chills. #1. "When We Were Young"
Out of context, the line "You look like a movie, you sound like a song" seems too simplistic — juvenile, even. However, within the context of the track, it makes perfect sense; no description could be more vivid! Mark my words, "When We Were Young" will quickly become one of Adele's signature tunes. It's absolutely stunning. 25 is available on iTunes now.